Relaxing, healthy and sensual, a good massage is the cherry on the cake of any great holiday in Barcelona. Whether you want to treat your partner to a surprise gift, spoil yourself rotten, or go for a group session of pampering with the girls, a rub down with the oils will get rid of your tensions and reinvigorate body and soul. 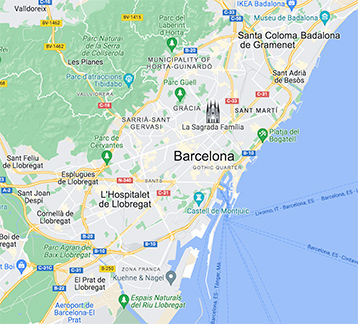 Our partners at Barcelona Massage have contacts at all the best spas and wellness centres in Barcelona and for an average cost of just 75 euros per person they can arrange a luxurious Royal Thai, Shiatsu (Japanese), Ayurvedic (Hindu), Chakra Hot Stone, Magic Honey or even Chocolate Massage. They also offer one or two special packages for couples. Just drop them a line with your requirements and they’ll get back with a full range of options. CURRENTLY UNAVAILABLE but please check our entertainment section for other options.